With expert judging and great media coverage, the 10th Annual International Book Awards have become the next great promotional vehicle for authors and publishers to launch their careers, open global markets and compete with talented authors and publishers throughout the world. Read Testimonials from Winners & Finalists of The International Book Awards. "Hey! Where is your phone number?" Located in Los Angeles and Phoenix, American Book Fest is involved in numerous aspects of the publishing and entertainment industries. Jeffrey Keen is the President and CEO of American Book Fest. Jeffrey has worked in the publishing industry in an executive capacity for over twenty years and has helped hundreds of authors, publishers and public speakers garner media coverage and strategic partnerships that boost both sales and the reputation of represented clients. From working with mega-million best-selling authors to first time authors self-publishing their work, Jeff has brought insight, expertise and creativity to all of his projects. 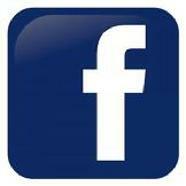 Join Jeff on Facebook with 6,500+ other authors and publishers! Join American Book Fest on Facebook with 138,000+ other book fans! The Best Book Awards launched in 2003 and through Jeff's leadership and dedication, thousands of authors and publishers have benefited from the awards specifically designed to garner publicity and attention during the busy holiday retail season. Now in its 16th year, the Best Book Awards are one of the largest mainstream book award competitions in the United States. In 2009, The International Book Awards (IBA) were created. Currently in their 10th year, the IBA’s are announced online during the Book Expo America in NYC in June of each year. AmericanBookFest.com was launched in 2014 with the intention of becoming not only an online presence but eventually offering workshops and live events throughout the United States. American Book Fest is now the main sponsor of our family of book award contests and publishing related websites. And, as the name implies, we celebrate the written word in all genres, fiction and non-fiction. Join over 138,000+ of your fellow book lovers on Facebook! CLICK ON the link, SIGN INTO your Facebook account and "LIKE US"! Our "American Book Fest" page shares new book releases, book related photos & stories, and much more! 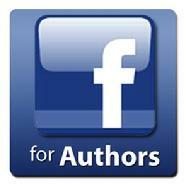 Join 6,500+ of your fellow authors and publishers on Facebook! American Book Fest President & CEO, Jeffrey Keen, shares posts from the publishing and entertainment industries! The International Book Awards and IBA are trademarks of American Book Fest.